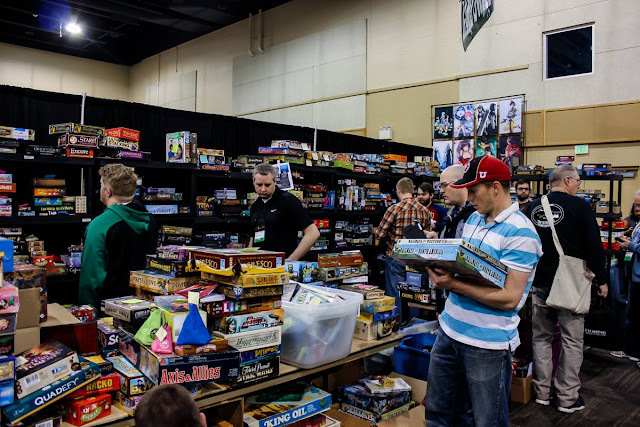 When I first got into board games as we know and love them, I had no idea there were entire conventions dedicated to these tabletop marvels. When one of my friends introduced me to SaltCon a number of years ago, I decided to take a chance. What I found changed my life. Really, it did. Since then, I’ve made an effort to attend SaltCon each year, and since I live relatively close, travel time isn’t a deterrent. Not that travel time means much for some people. I’ve gamed with folks at SaltCon who have travelled from as far away as Texas, with no other agenda than to play games at SaltCon. So what makes SaltCon so appealing that people from all over want to attend? Actually, there are a lot of things. But first, let’s look at SaltCon’s origins, shall we? 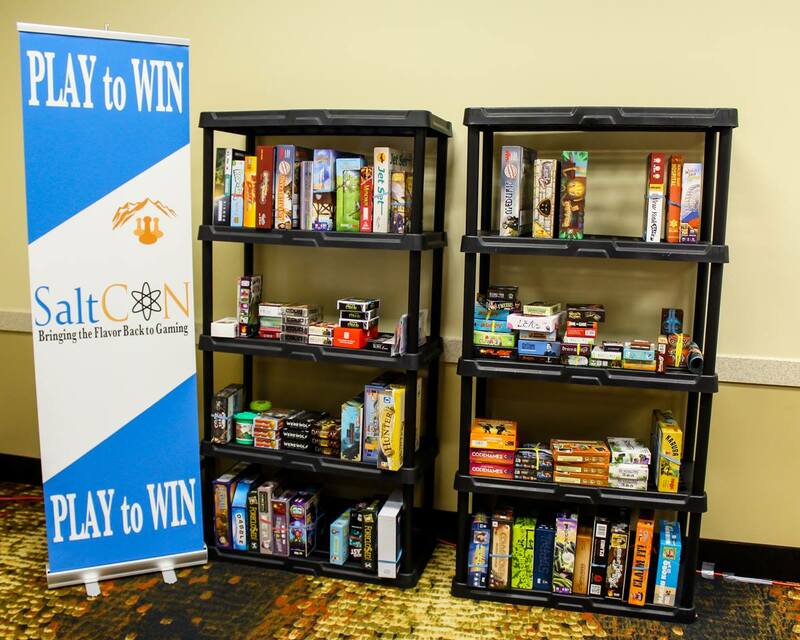 SaltCon is Utah’s largest board game convention, providing four days of tabletop gaming bliss to the mountain west—and regions beyond. SaltCon began in 2009 and was held at the University of Utah at the U of U’s Officer Club. The convention has grown immensely since then, and is now held at the Davis Conference Center in Layton, Utah. 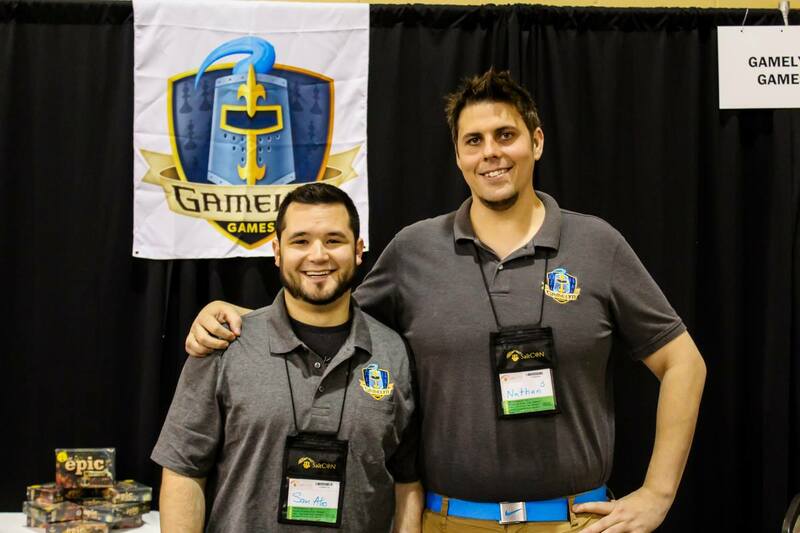 Your typical SaltCon experience entails games, games, and more games. And, of course, other game-related events and experiences on the side. With a large gaming room and smaller rooms off the wings (for those who prefer things a little quieter), all you’re required to do is come and have fun. Let’s take a discuss what actually goes on during SaltCon. Obviously, the first thing to mention is the games. 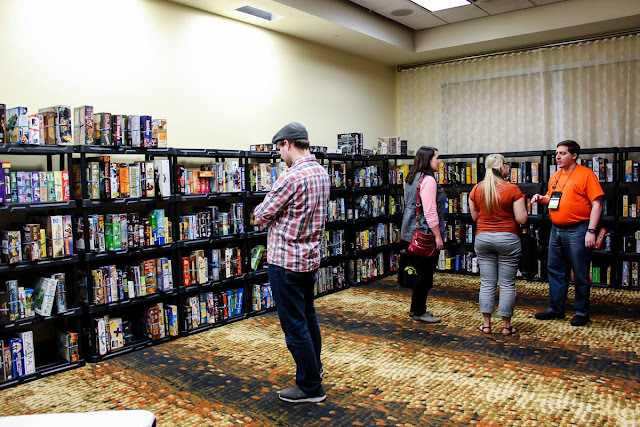 There is a vast game library that any attendee can peruse and checkout whatever they like. If you want to play something, chances are it’s in that library. 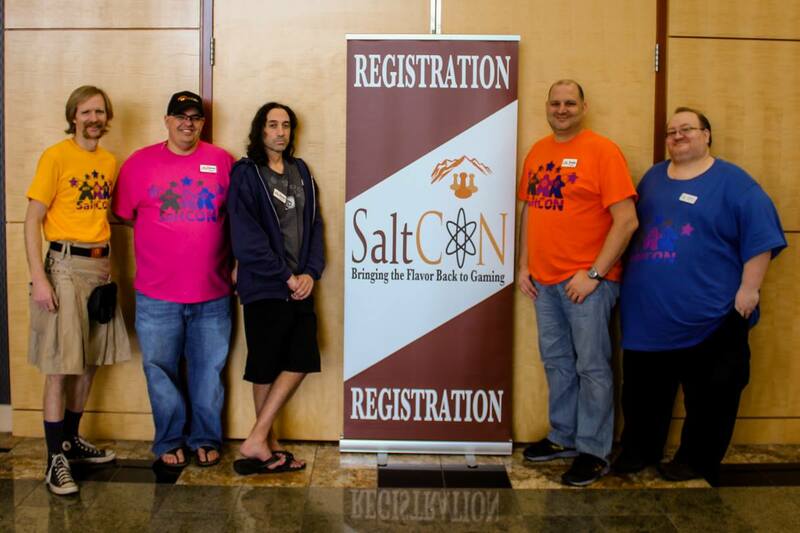 SaltCon is more than just board games, although that is the bread and butter of the convention. However, a good sandwich requires more than just bread and butter, and the fillings come in many shapes and sizes. Aside from board games, they’ve got card games of all varieties. There are dexterity games, heavy euros and light dice rollers. There are rooms dedicated to role playing games, where you can get your D&D or other RPGs on as well. 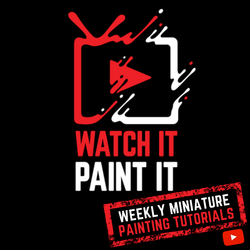 Miniature war games also make appearances. Everywhere you go, someone is playing a game much different in nature than their neighbor at the table next to them. 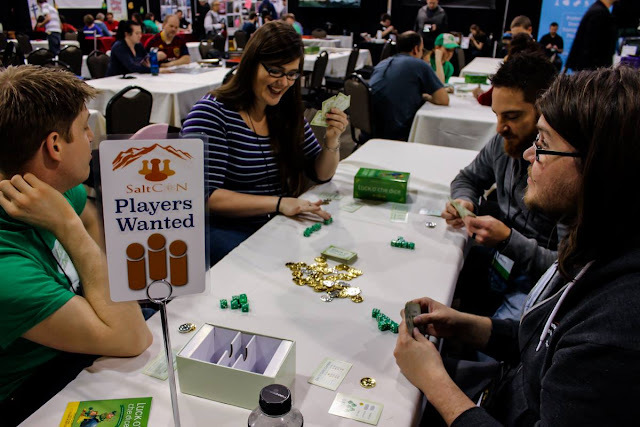 And, if you go up by yourself (which I’ve done), there are “Players Wanted” signs you can set on your table, and others will come and play with you. The best part about that is, it always feels like we’re friends and have known each other for ages. That’s one of the beautiful things about board games, and board game conventions especially. The people really are your friends, no matter how long you’ve known them. 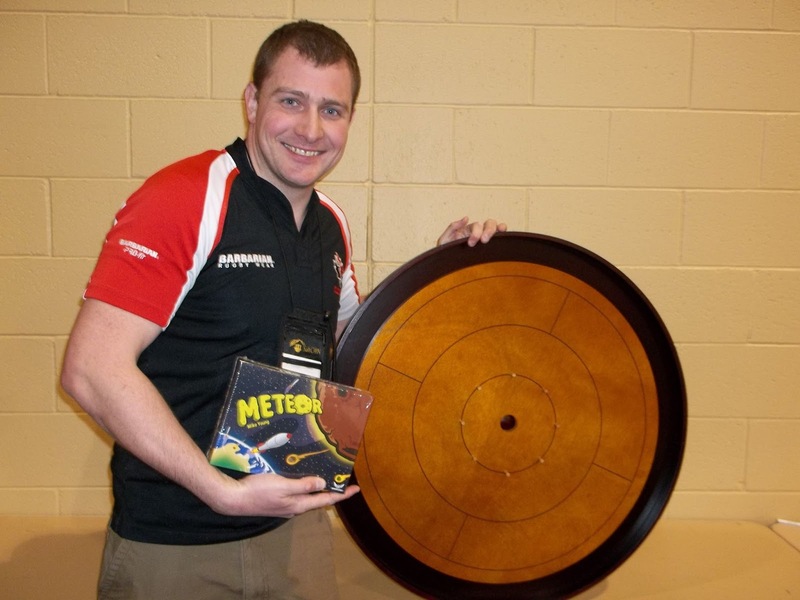 Sometimes it’s not enough to simply play a game, and that’s where tournaments come in. 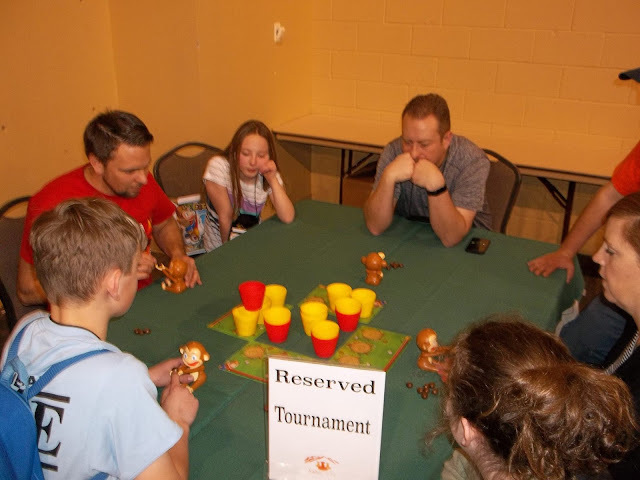 There are various tournaments happening nearly every hour, ranging from dexterity games to strategy games. The tournaments themselves are a blast, and even when I don’t win (which is pretty much every time), the thrill of competition sets my heart aflutter. I love friendly competition, and it doesn’t get much friendlier than at SaltCon. Plus, if you win, the prizes are awesome. Speaking of prizes, SaltCon gives away a lot of games. As in a lot. Aside from their main game library, they also have a Play-to-Win library. Every time you check out a game from this library, play it, and check it back in, your name is entered to win that game. How cool is that? There are also raffles and other fun things going on throughout the convention, so even if you can’t win a tournament, there’s always a chance of winning one something else, including one of the games you played and loved. Since we’re talking about acquiring games, I can’t help but mention the amazing flea market. This is where attendees bring their used games they want to get rid of, set a price, and wait for someone to pick it up and buy it. I myself have sold a few of my lesser played games this way (and then promptly turned around to buy other games from the flea market). You can find some rare and hard to find games this way (Star Wars Epic Duels, anyone? ), and most games for sale are priced very well. Game Publishers also have booths set up for you to come and try out and buy some of their games. One of my favorite things to do at SaltCon is browse the vender booths and talk with the companies in attendance. I’ve had wonderful conversations with the folks at Gamelyn Games, Green Couch Games, and Mayday Games, just to name a few. Whatever you do, don’t fail to take a look at the various booths. You’ll be surprised at what you find! And don’t feel like you have to buy something, either. Just stop by and say hi to those working. They’re really fun to talk with. 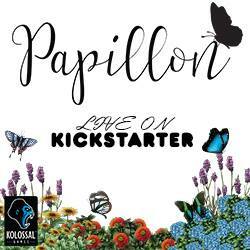 Prototypes and new game designs also pop up at SaltCon. The Ion Awards is for unpublished games, and gives game publishers a chance to take a look at them. 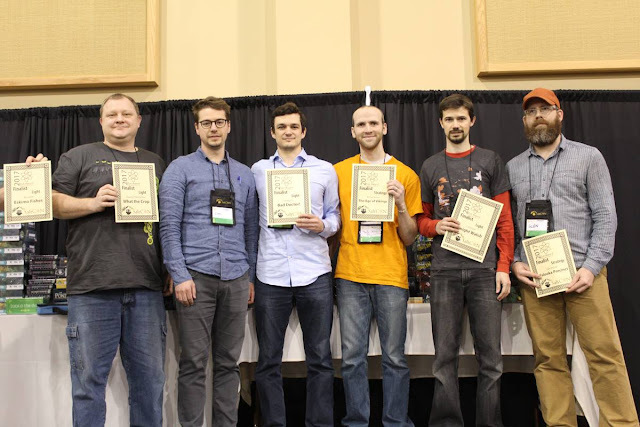 If you have a game design in the works, the Ion Awards is a wonderful way to get it in front of various publishers, including Mayday Games and Eagle Griffon Games, to name but a few. SaltCon is, in essence, an experience you just can’t get anywhere else. Nestled on the doorstep of the Wasatch mountains, the convention feels like home. The faces are new, sure, but the people are friendly and more than willing to play with strangers. I’ve met some wonderful people during my time at SaltCon in the past. If you’re a night owl, then SaltCon’s 24-hour gaming will surely be of interest to you, and I know plenty of people who stay up playing games through the night. The convention center itself is a hotel, so getting a room there means minimal travel if you do need a quick power nap, and there are plenty of fast food joints nearby for a quick bite to eat. One of the best parts about SaltCon is its size. Compared to Origins or GenCon, SaltCon is like a small town, complete with all the charm and unique tourist attractions. And, you’re not constantly fighting for elbow room or suffocating in the throng of people. With 1,359 attendees in 2017, and more expected in 2018, SaltCon is quickly growing, and becoming a favorite of locals and travelers alike. 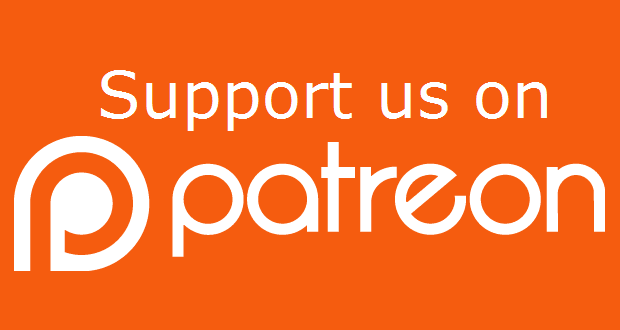 Sign up for SaltCon here!